The Guild is dedicated to sharing our wealth of knowledge with the community. We offer classes and workshops to teach new skills and improve techniques. Groups specific to a craft provide an ongoing opportunity to share and learn together in a less structured environment. There are several Guild groups that meet to share ideas and learn new techniques every one or two months in the Guild rooms. The Guild has classes running throughout the year, though a large number of classes are run simultaneously during our Summer and Winter School sessions. 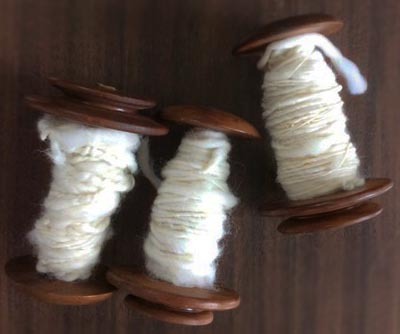 These are usually one to three day classes covering a specific aspect of textile and fibre crafts, ranging from weaving to spinning to felting to Japanese braiding. While these are usually held in the Guild rooms, some courses are held in other venues in the Sydney area. We also hold classes in country NSW, if there is interest. Contact the Guild for further information on any of our classes, groups and workshops and keep an eye on the calendar for future times.